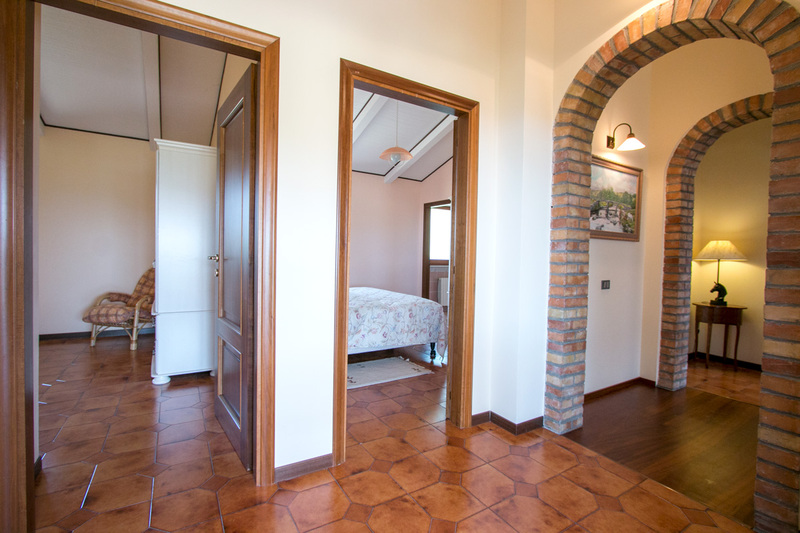 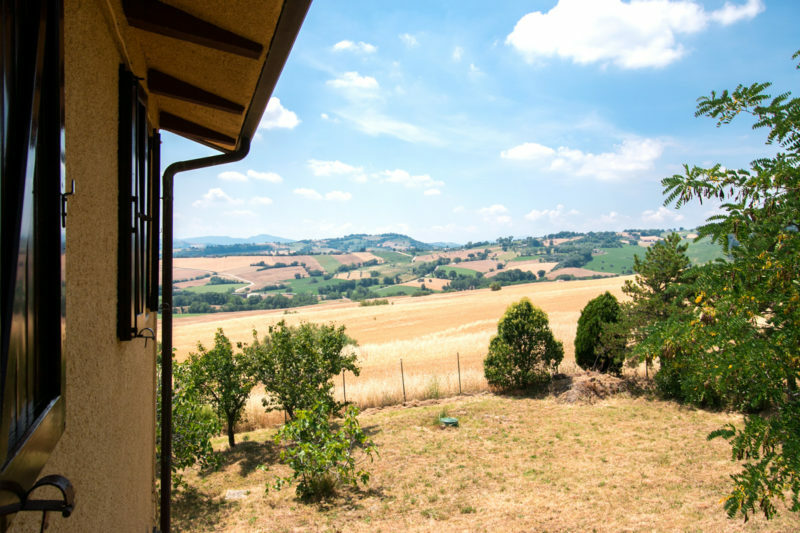 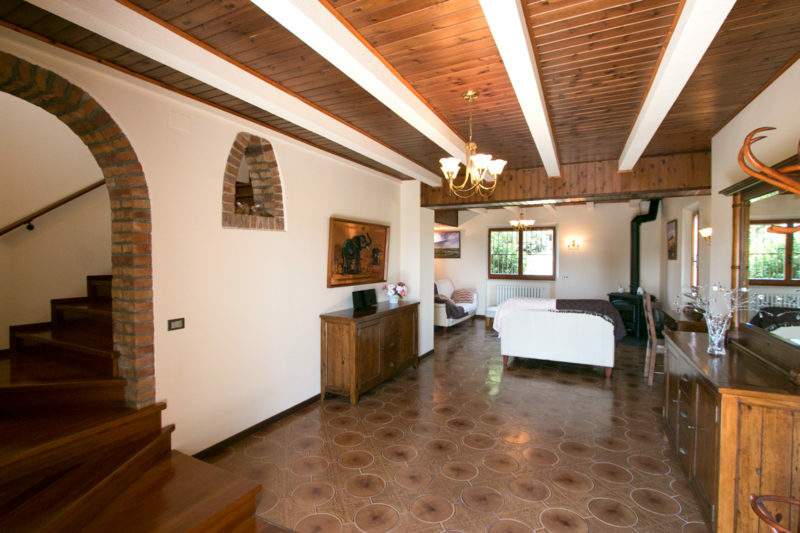 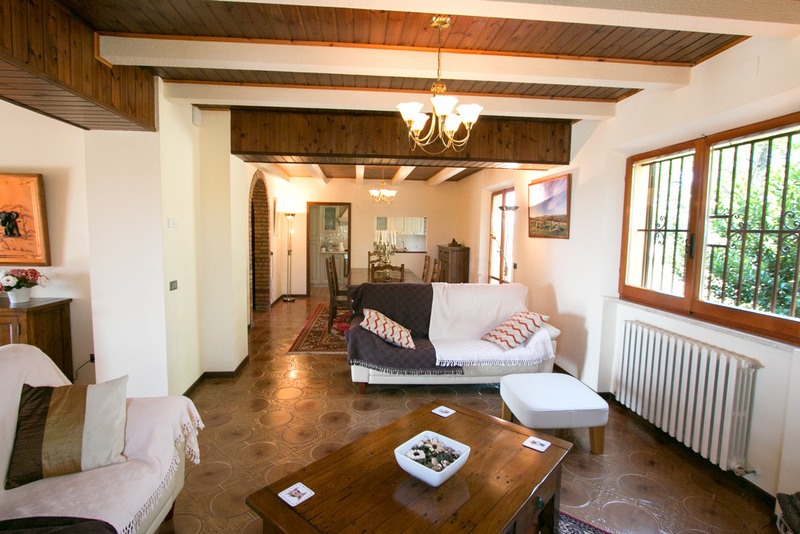 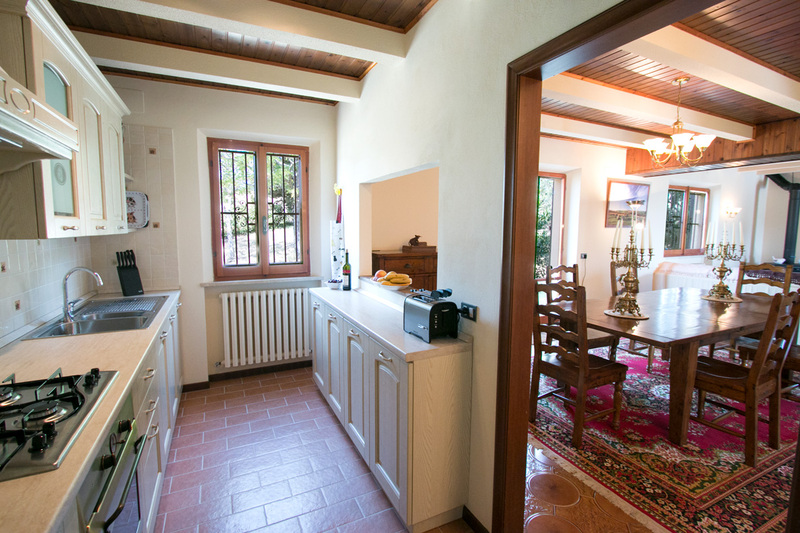 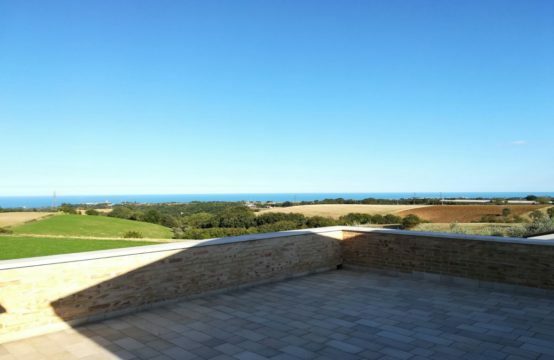 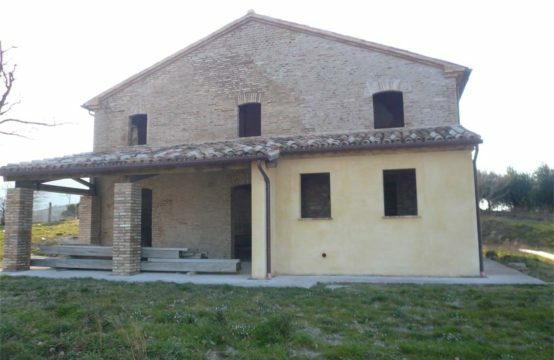 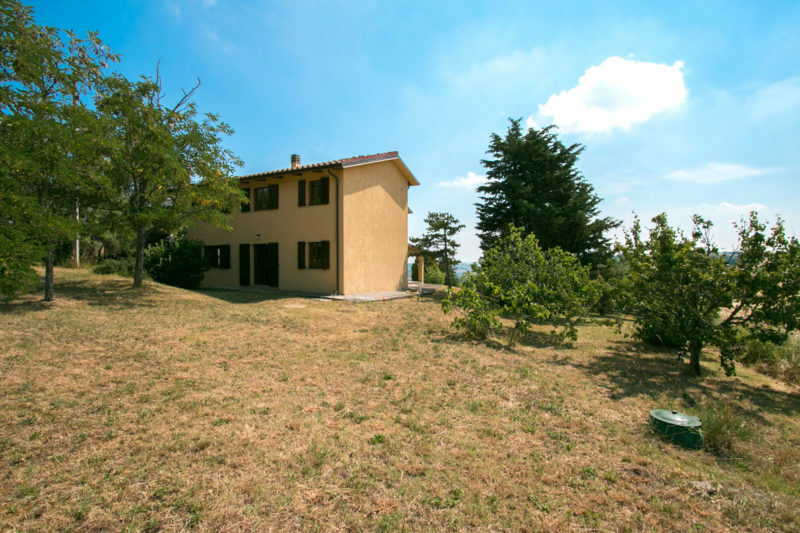 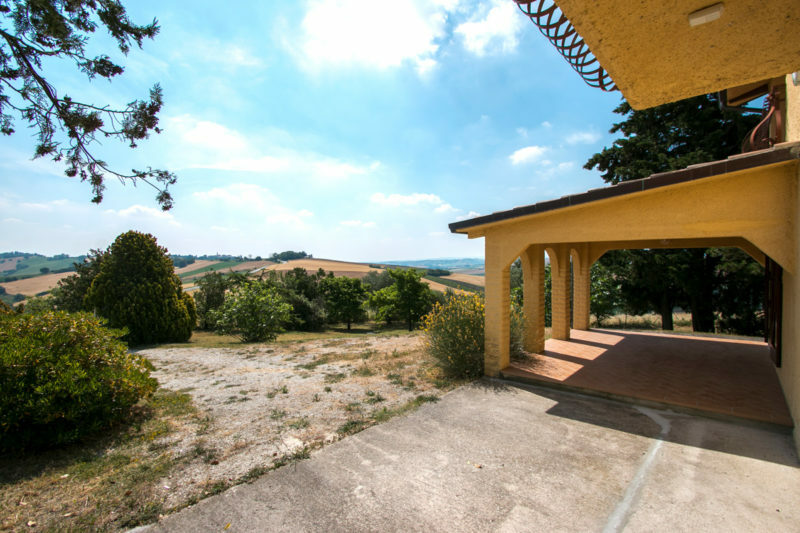 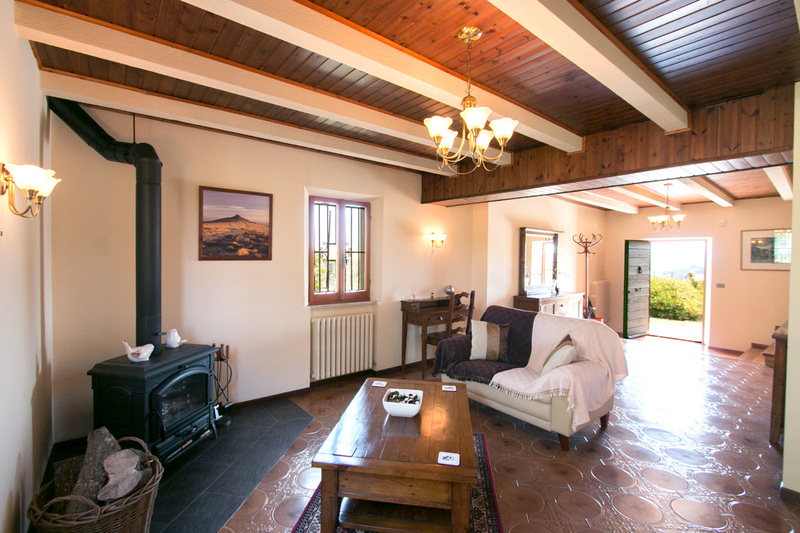 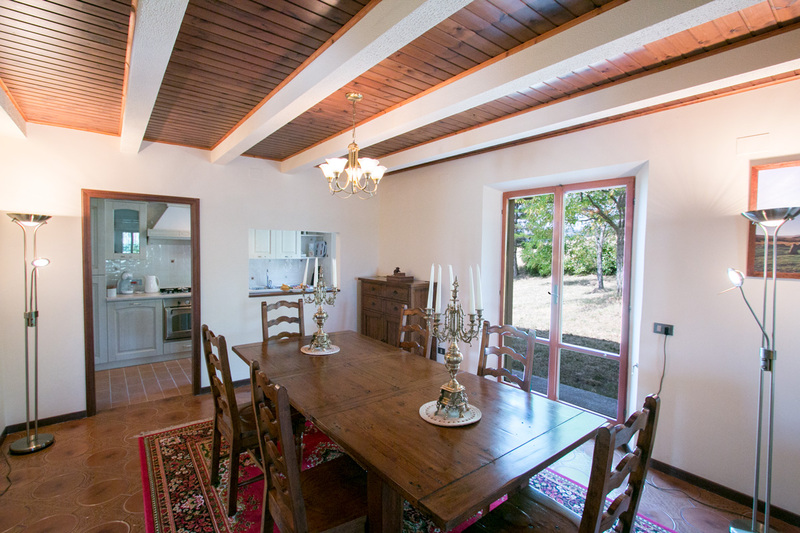 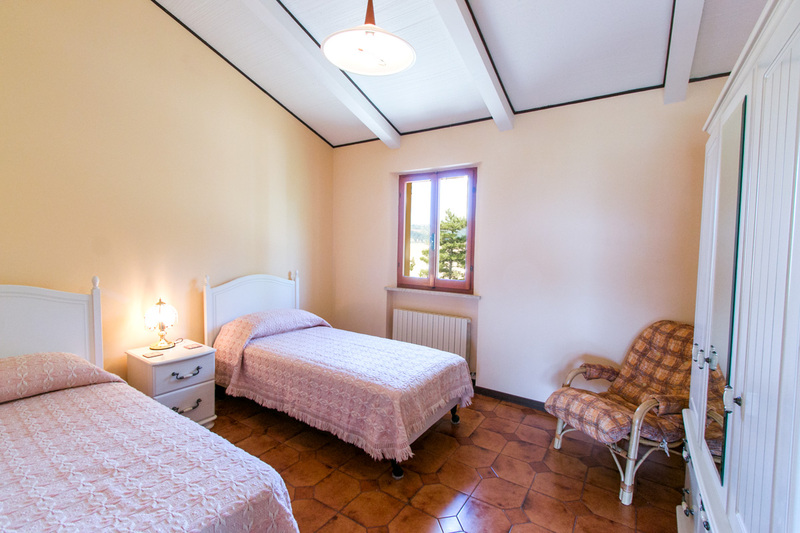 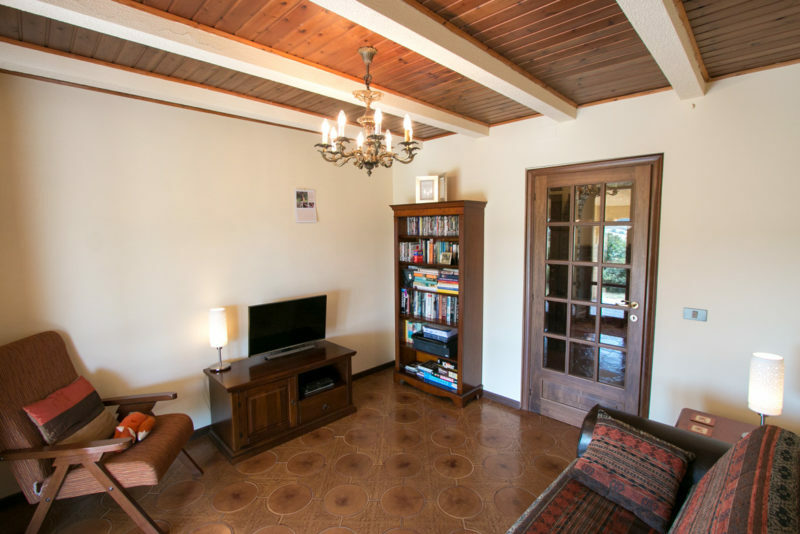 Country house for sale in Fratte Rosa. 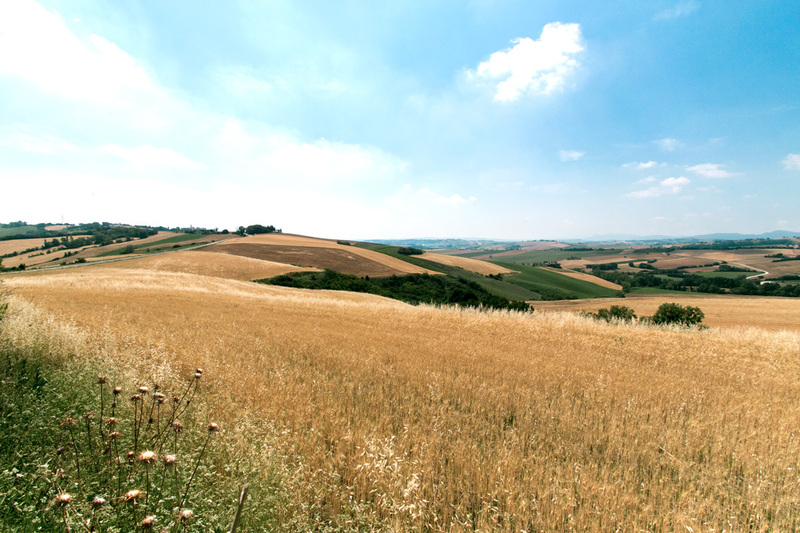 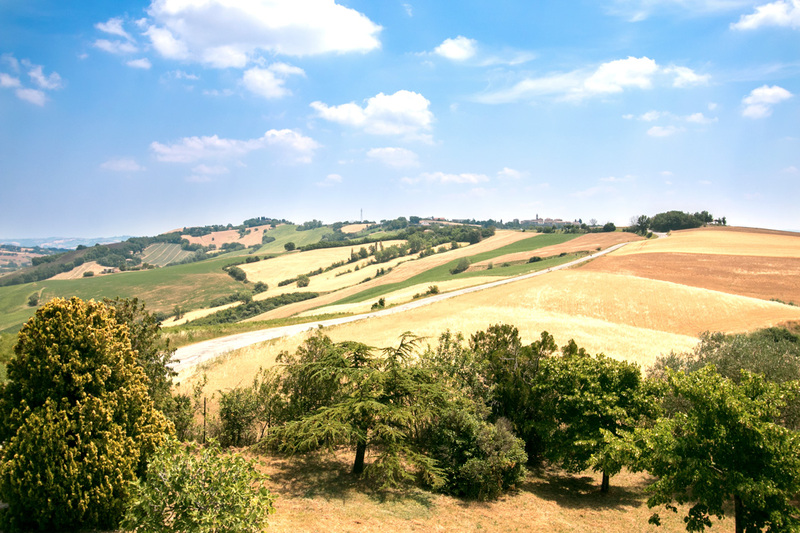 Marche countryside. 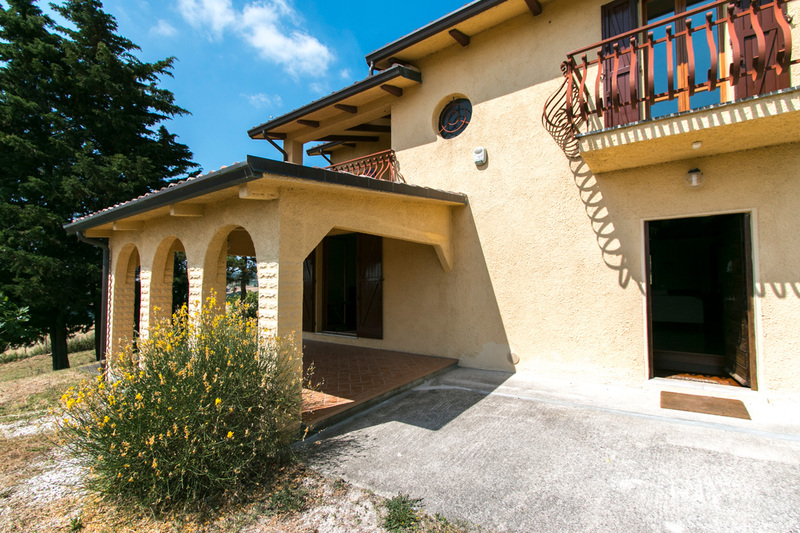 The house consists of 240sqm on two floors. 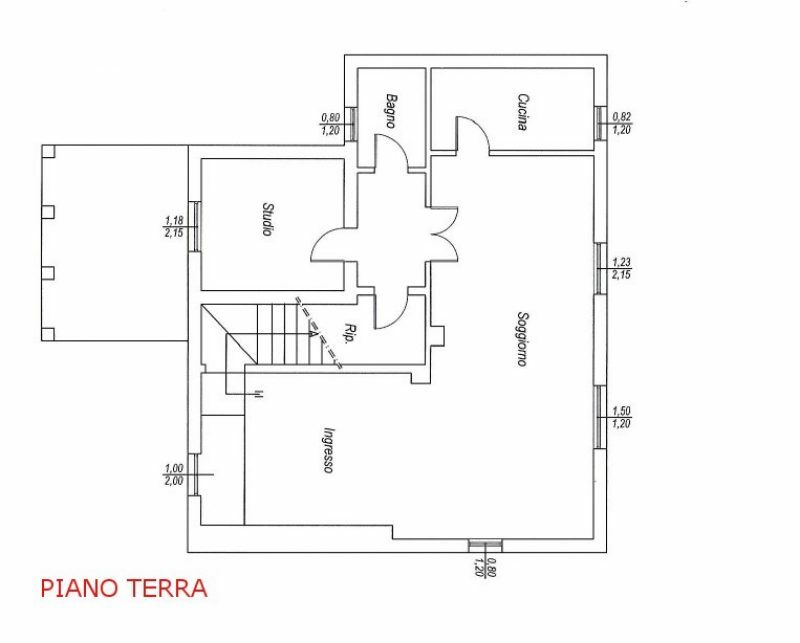 On the ground floor is the entrance with the living room and kitchen/dining area.. On the ground floor there is also a studio and a guest bathroom. The boiler room is located under the stairs. 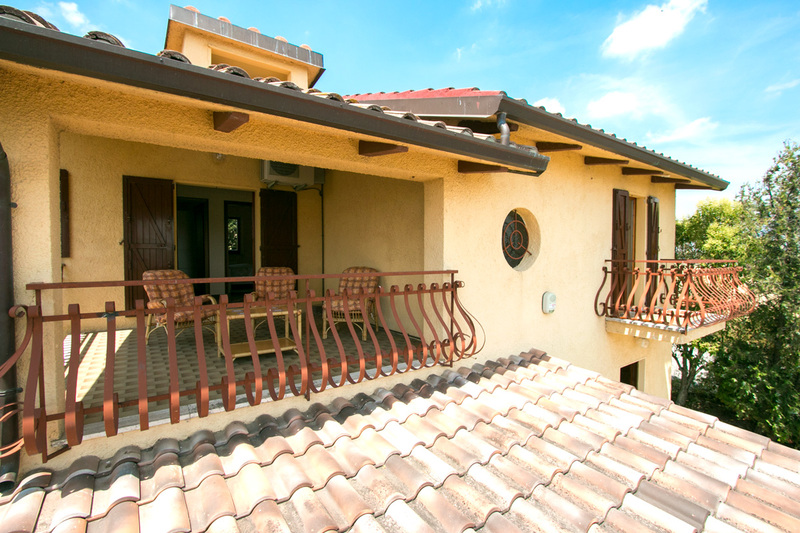 The studio leads to a patio large enough for al fresco dining. On the first floor are the master bedroom with ensuite bathroom, two double bedrooms, one with ensuite bathroom and a further bathroom. 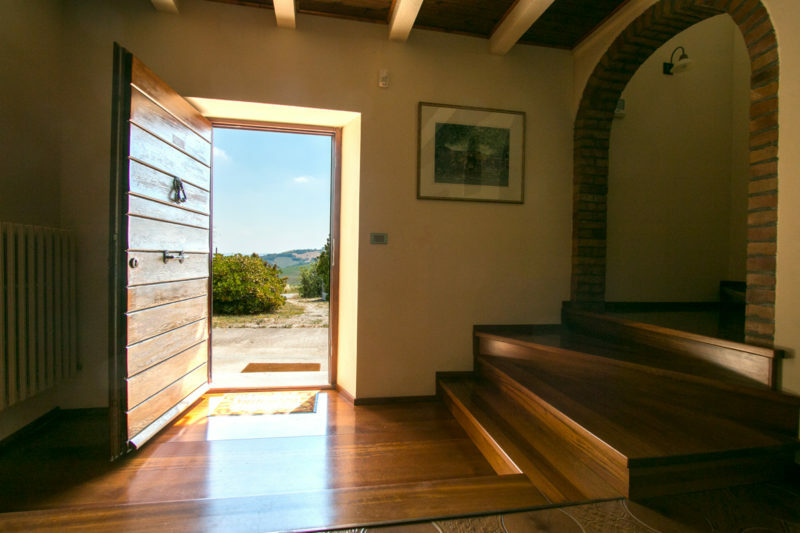 The hallway leads to a large covered terrace which has great views of the surrounding countryside. 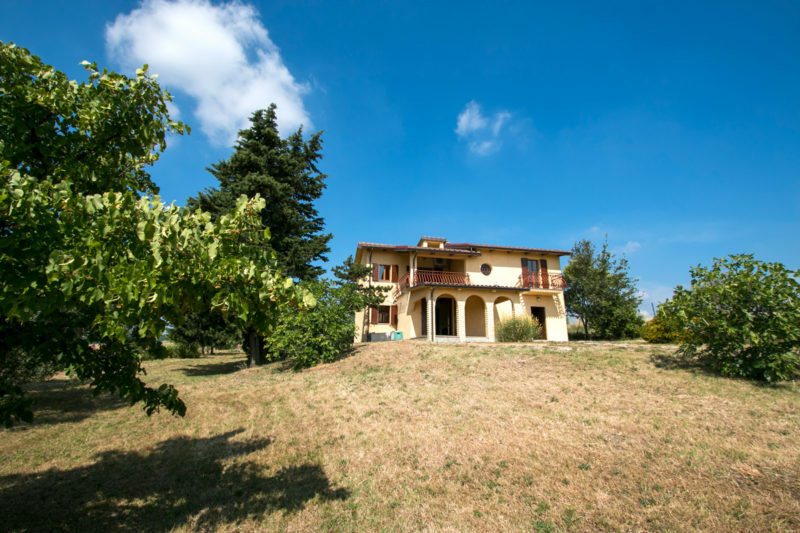 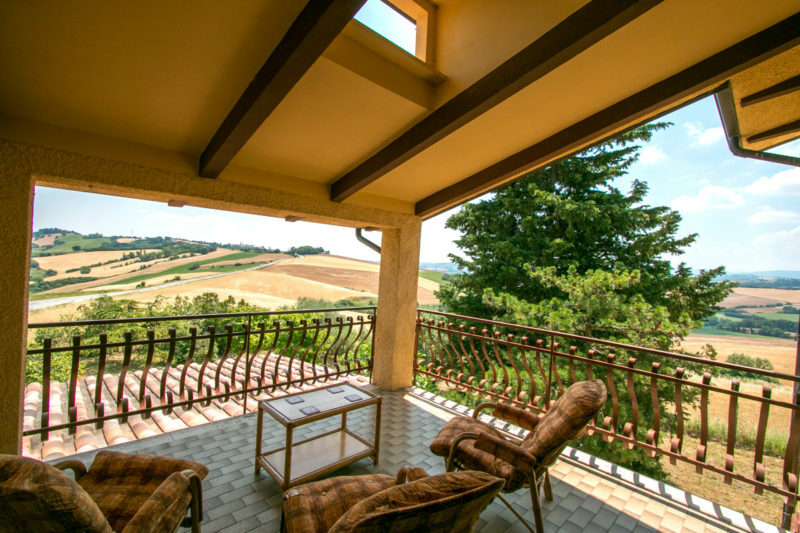 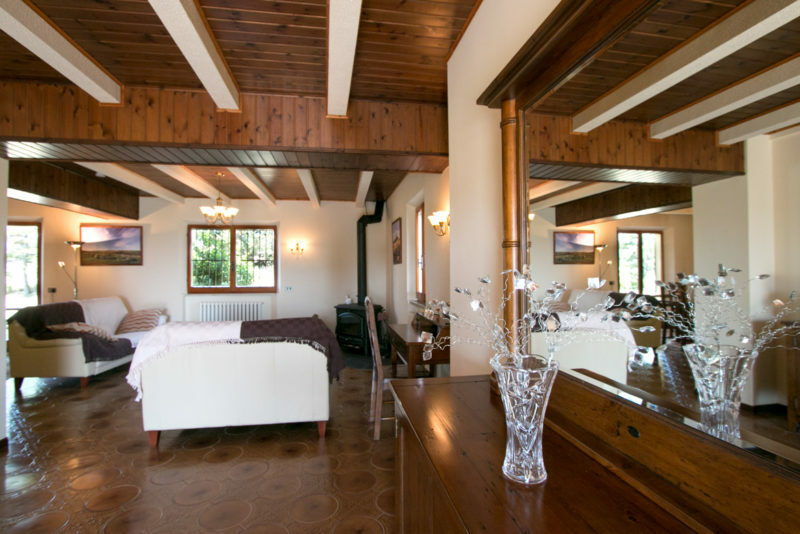 The property includes a 1250 sqm fenced garden with some fruit and olive trees. 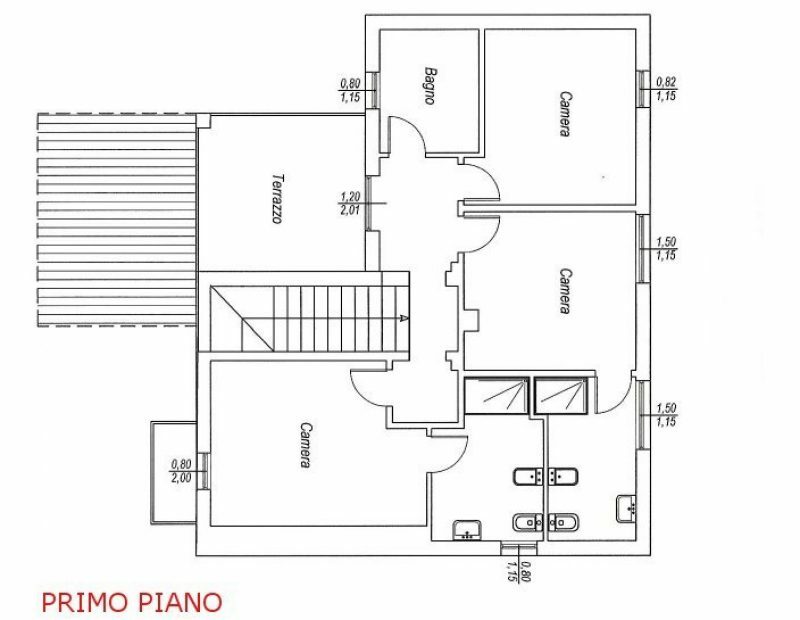 The furniture is included. 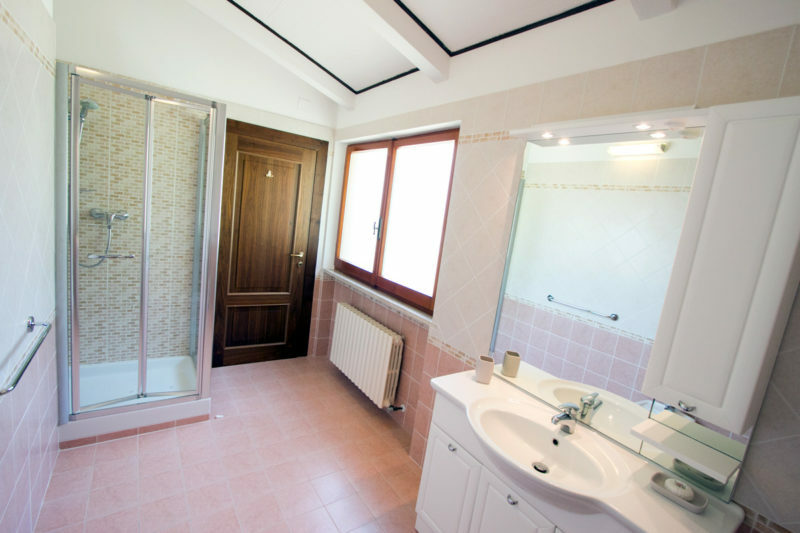 Completely renovated in the ’09 the house is in perfect condition and offers high quality finishes. 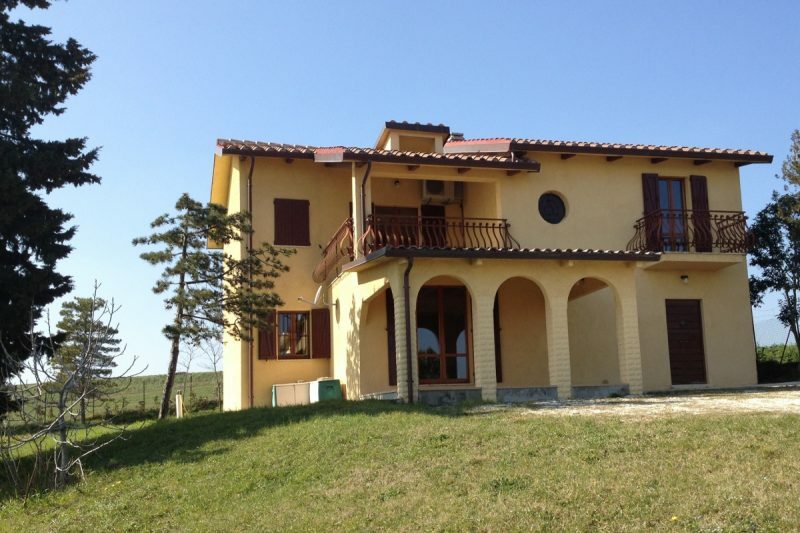 Plaster finish outside, alarm system, double glazing windows frames and railings. 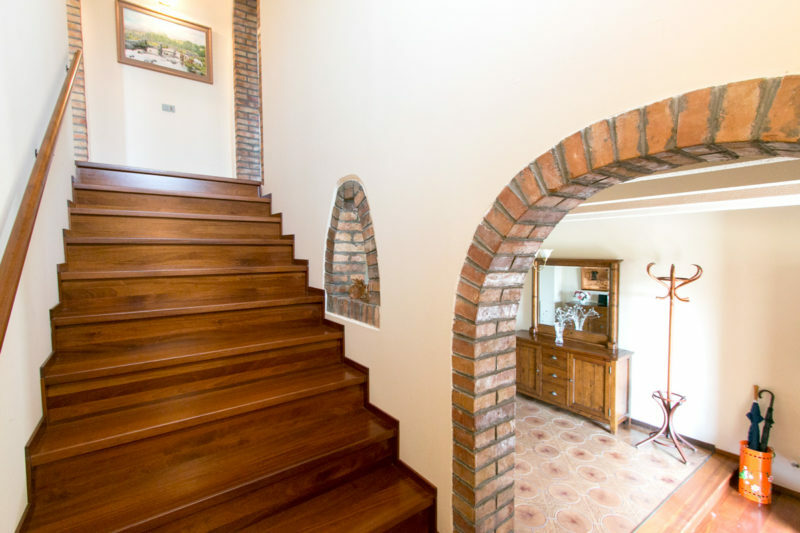 The floors are tiled and the staircase is made of wood. 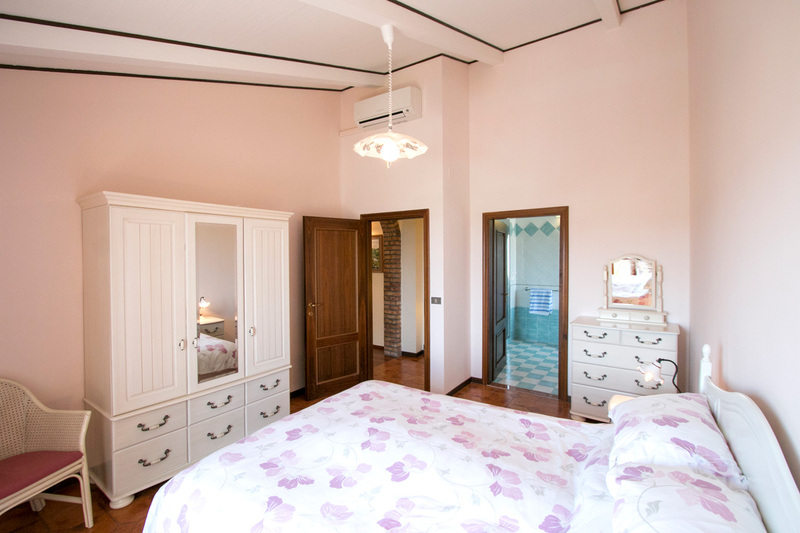 There is air conditioned in the bedrooms. Utilities are fully functional. 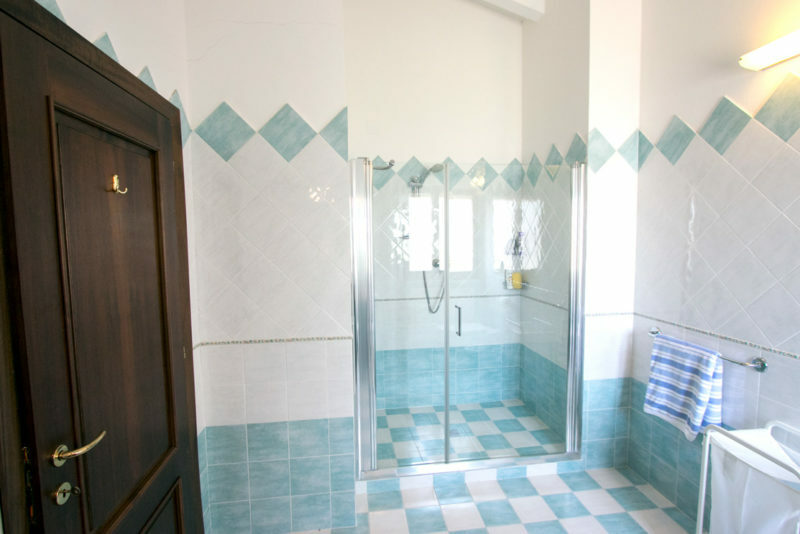 Mains water and a private gas supply. 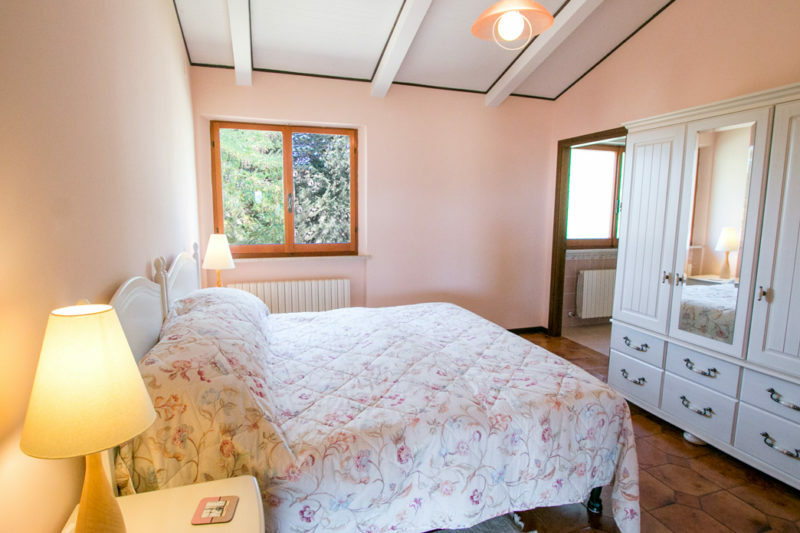 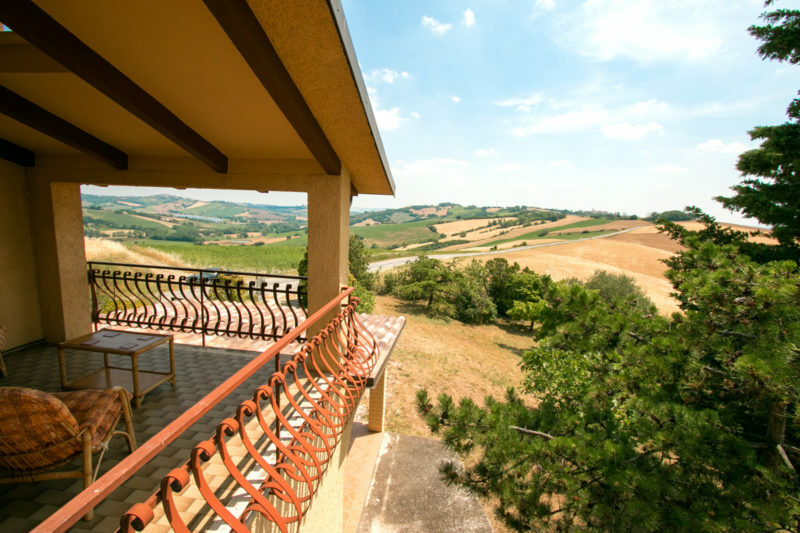 Casale san Marco is located near Fratte Rosa, about 30km from the beaches of Marotta, the Falconara airport is about 45min away. 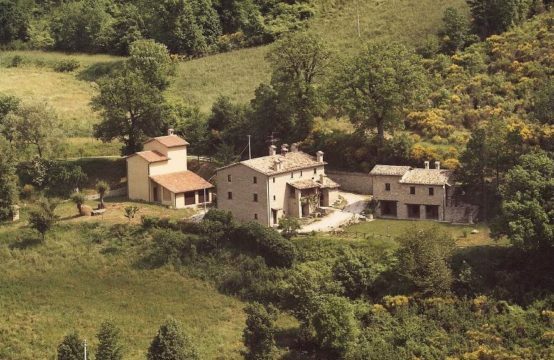 The property is on a municipal road and the hamlet of San Marco is 4km away.